I was watching TV around a week ago when I heard the instrumentation of Lou Reed’s “Perfect Day” in a Playstation 4 advertisement. In it, two friends take on different competitive video game roles and sing the song to each other. Considering that the deceptively complex song is most likely about some combination of Reed’s sexuality and drug use, I found it funny that it was used in a commercial about mindless simulation. A week later, Reed is dead, and I am here writing a post I do not want to write. Seventy-one years fit the variable in Reed’s apt quotation, and, while the years seem cut off too soon, Reed once stated that he always believed he had something important to say, and there is absolutely no doubt that he said it. Lyrics like these were unheard of. Reed was the unmitigated voice of a popular underground of perpetual drug users, prostitutes, and eccentric virtuosos. The album, aptly recorded during Andy Warhol’s Exploding Plastic Inevitable tour, was a work sticky with Warhol’s artful experimentation (including the iconic album cover) and, despite its small initial draw, was so inspirational that Brian Eno once famously proclaimed that of the 30,000 albums sold, 30,000 bands were created. Quite simply, Reed and his bandmates (especially viola player John Cale) were almost fatidic – like musical Nostradamus.’ They bent conventions and complacency and engendered the youth to rise up and talk openly about topics that were affecting them. It should come to no surprise to anyone that Punk aficionados consider Reed to be a Godfather figure. Not enough can be made of Reed’s impact and intelligence. He was a rare breed of musician – a transformer. He shook away common conventions and formed his own music to tackle his own personal feelings and demons. His religion was rock ‘n’ roll and guitar, as he said, and he was damn good at it. And while Reed was the first to admit that everything happens for a reason and when it’s your time it’s your time, it still is very hard to say goodbye to a musical legend like Reed. His music will forever live with every clandestine artist, closeted individual, and so-called misfits, helping those in consternation understand that the only people who have issues are those who spew hate. 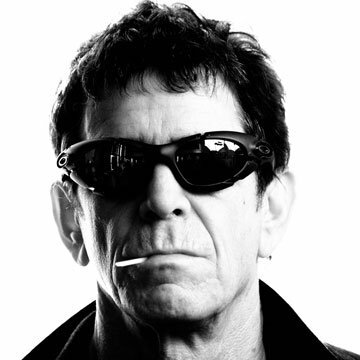 He opened up a safe, artistic community for everyone living in the “underground.” So … while there may be no consensus on what “Perfect Day” is explicitly about, I will reach to the lyrics “you just keep me hanging on” and hold on to Lou Reed as a musical inspiration. The world will miss you. I hope you are enjoying your walk on the wild side.